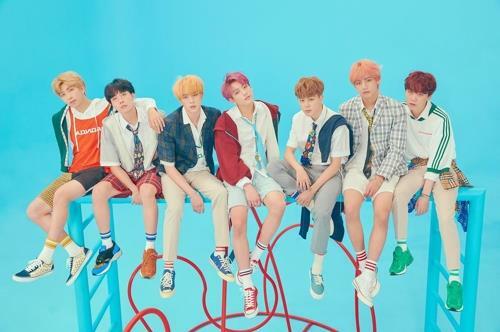 SEOUL, Oct. 29 (Yonhap) — Global pop stars BTS and Charlie Puth will stage a joint performance next month for a local music award event, the organizers said Monday. The two sides will go onstage together for 2018 MGA, a music award jointly organized by the broadcasting service MBC Plus and the online music store Genie Music, scheduled for Nov. 6 at Namdong Gymnasium, Incheon, west of Seoul. The joint performance will take place a day ahead of the American musician’s concerts in Korea on Nov. 7 and 8. BTS and Puth have posted admiring comments about each other on social media. This year the Korean septet has recorded the unprecedented feat of two victories on the Billboard 200 albums chart in a single year.